Kid Jensen. "What ever your music taste you should find it covered tonight on this week's edition of Top of the Pops!" Rocky Sharpe & The Replays: Rama Lama Ding Dong . Uh-oh, its Proustian Rush time. Suddenly I'm 7 again*. There's the colour television in the corner which blanked out right at the start of an edition of Emu's Broadcasting Company, damn you striking power workers, there's the gas fire, and behind me is the sideboard on top of which is the long-necked china cat I knocked over and broke while playing (luckily Dad fixed it with some glue). What I don't get is why Rocky Sharpe & The Replays should be the people to provoke such a flood of memories. A quick internet check leaves me pretty certain Rocky Sharpe & The Replays never played this song on Swap Shop, or Cheggers Plays Pop (both essential sources of top pop for any fashion conscious 7 year old). In fact, not to spoil upcoming editions but Rocky Sharpe & The Replays never even played Rama Lama Ding Dong on Top of the Pops again. I must have watched this edition of Top of the Pops, and I'm just left wondering what made Rocky Sharpe & The Replays so memorable. Their sub-Darts clowning is acceptable and the song is catchy but frankly I'm baffled. The only explanation I can come up with is that I thought "Rama Lama, Rama Lama Ding Dong" was an unlikely name for a girl. Rocky Sharpe & the Replays spot their fan. 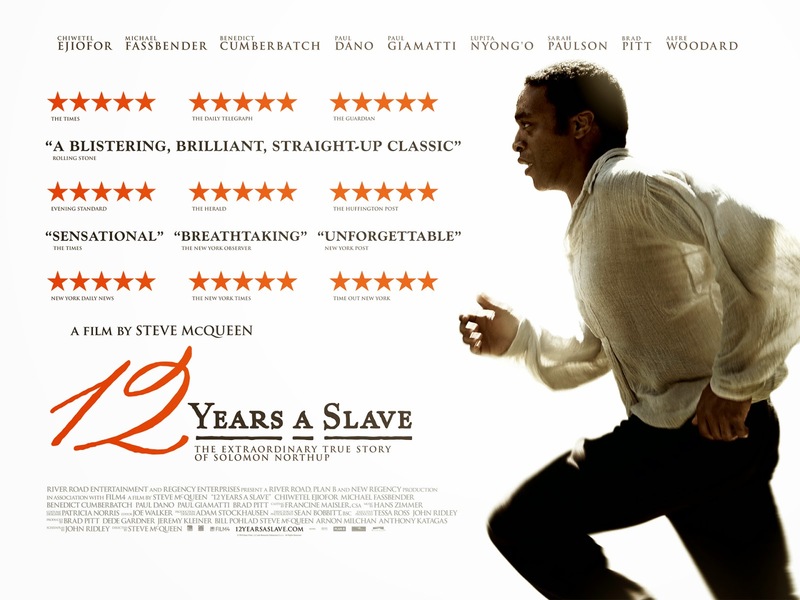 There is no doubt that 12 Years a Slave is a harrowing film that even with our knowledge of acting and effects makes for uncomfortable viewing. It must have been harder to act it but I suppose the rigours that some of the cast had to go through is nothing compared to what the slaves in the story endure. Based on true events the film is set in the mid -1800s where free family man Solomon Northup is tricked into accompanying two supposed entertainers to Washington where he is promised earnings way in excess of the norm for his violin skills. However the men get him drunk and sell him to a slaver. Solomon wakes the following morning in a bare brick walled cell chained to the floor. Thus begins a dozen years of mistreatment and abuse as he is hauled around several owners. The Sunday evening drama clash of swords and silk ends in victory for D’Artangian and co but both shows shine. Imagine! Here come the Musketeers fearlessly striding down the streets, swords at the ready and round the other corner is Mr Selfridge who has nothing but his shouting, beard and millinery to fight with. Yet hold on; he’s actually had Agnes build a false wall into which the Musketeers walk, causing them to fall over whereupon the store’s staff charge armed with tape measures. 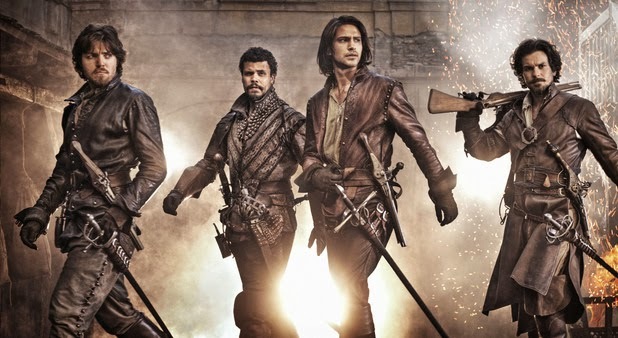 Only they don’t know that the Musketeers actually carry muskets (is that where the moniker comes from?) and they mow down the enormous hat wearing army. It’s a tempting thought to imagine the loudest entrepreneur of the early 1900s doing battle with the 1600’s finest swordsmen but these two shows are clashing in an old fashioned scheduling way. Nowadays of course we can watch both but which would you choose if you could only have one? "Come on Musketeers, we can beat you easy!" "You can't dance like Take That though can you Harry?" 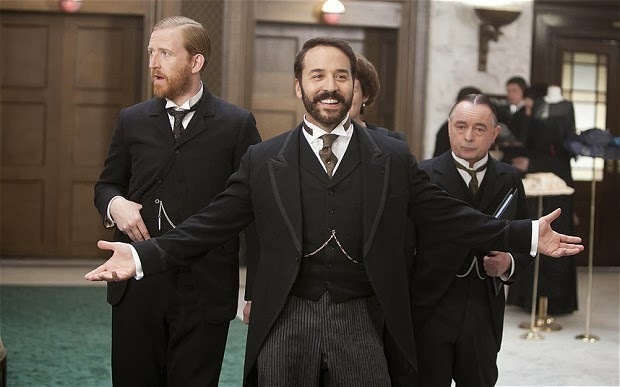 Q, Ron Weasley, Mr Bates and Merlin get together – but someone else steals the show! 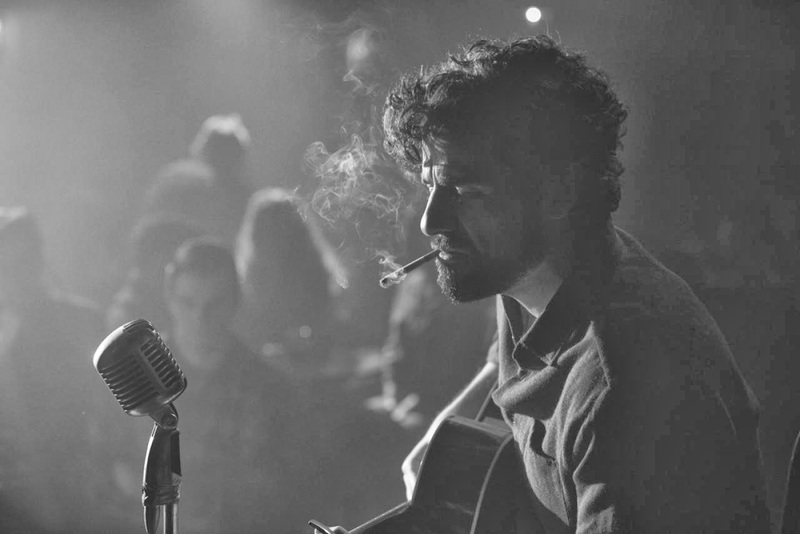 Not for the linguistically squeamish, Mojo is a play that rattles along at 200mph, characters barely catching their breath and sometimes even talking over each other. 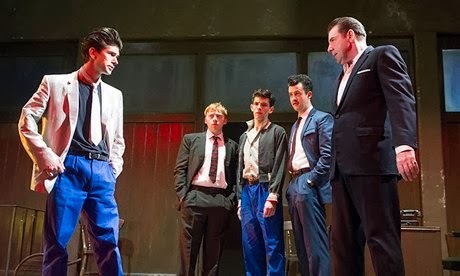 Jez Butterworth’s tale of seedy criminality in the summer of 1958 on the cusp of the rock and roll revolution is superficially macho. An all male cast of characters are boastfully riotous yet as matters proceed the artifice is lifted to reveal a bunch of scared, insecure people not necessarily ready to protect each other when things get tough. And they do get tough because before we’ve even met the manager of Ezra’s Atlantic club he has been cut in two. Q and Mr Bates begin their tango. I'm back after a short break for Doctor Who's 50th anniversary and then Christmas. What's changed? Top of the Pops is now on BBC4 in high definition and the difference in picture quality is amazing. New presenter Mike Read joined back in November 1978 which means the 1980s are approaching and there's nothing any of us can do about it. Soon we'll have Margaret Thatcher, Swap Shop replaced with Saturday Superstore, fear of nuclear war, the banning of We All Stand Together by Paul McCartney & The Frog Chorus (for containing the lyrics "bum bum bum bum bum bum"), and ZX Spectrums. Also several years of Grange Hill will leave me terrified of going to Big School but that's another story. Let's rock! Mike Read. "Welcome to the 15th anniversary edition of Top of the Pops and we're looking forwards to some great music in 1979." Generation X: King Rocker [NEW] Billy Idol's wearing an iron cross. I wonder if anyone complained? The audience aren't any more lively in 1979 but a couple of them pogo furiously when they realise the camera is on them. 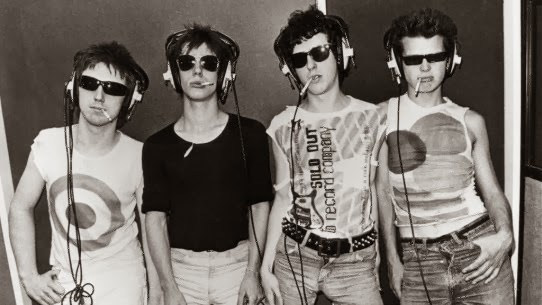 Generation X: They could sing and smoke at the same time. Unfortunately with the shades they had no idea where they were so had to glue themselves together. The reason people liked Sherlock from the start was because it didn’t conform to our expectations. Now it’s established and is not conforming to our new expectations some people are critical as if they have forgotten why they liked the show in the first place. 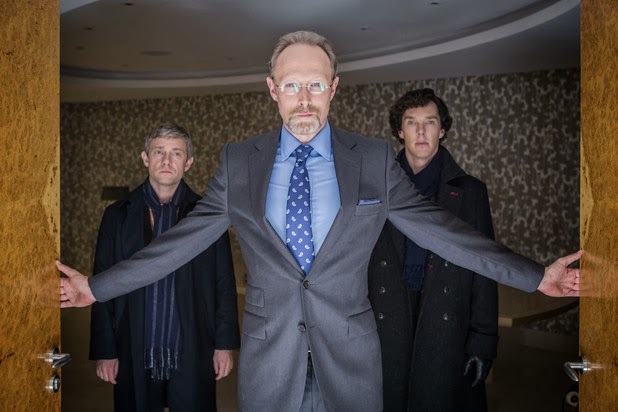 So perhaps after the previous two episodes these critics will feel on safer ground with `His Last Vow`. That is at least until it spins around once, twice and at the very end a third time to once again confirm this is not a series to easily be pinned down. "And wait till you see the wallpaper in this room..."
This episode skates very close to the edge of being self-indulgent and may baffle some casual viewers whom you can imagine are sitting there thinking `what’s going on?` The answer is the show’s first full comedy episode and why not? 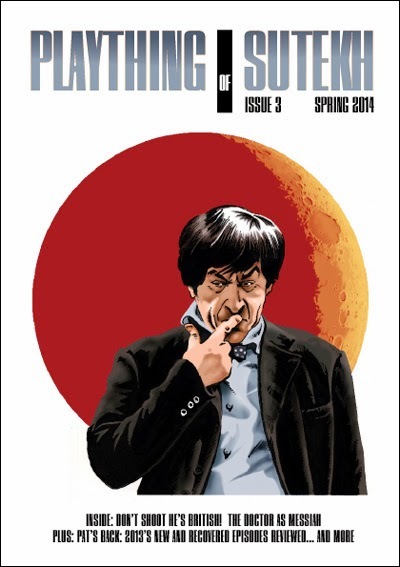 After all Sherlock is, as the character himself suggests, a ridiculous man and suits the comedic riffs of this freewheeling script co-authored by all three of the series’ writers. The results do follow on from the more human Sherlock last week’s episode unveiled and just as that was a platform for Martin Freeman, this week its Benedict Cumberbatch’s show. In a tour de force of a best man speech, interrupted by flashbacks, the great detective gets to the nub of more down to earth mysteries such as marriage and friendship as well as trying to solve a case. The biggest problem with the same production team’s Merlin was their inability to develop the narrative quickly enough. All too often drastic scenarios were reversed and the status quo restored and while this may be preferable when it comes to overseas sales it does render the end product rather dry and repetitive. To be fair, Merlin did advance across five series but it was very sluggish. Atlantis has the advantage of being a far broader scenario with a huge swathe of established and imagined mythology to mine and no legend (apart from it sinking which you’d presume won’t happen till the final episode!) in particular to stick to. 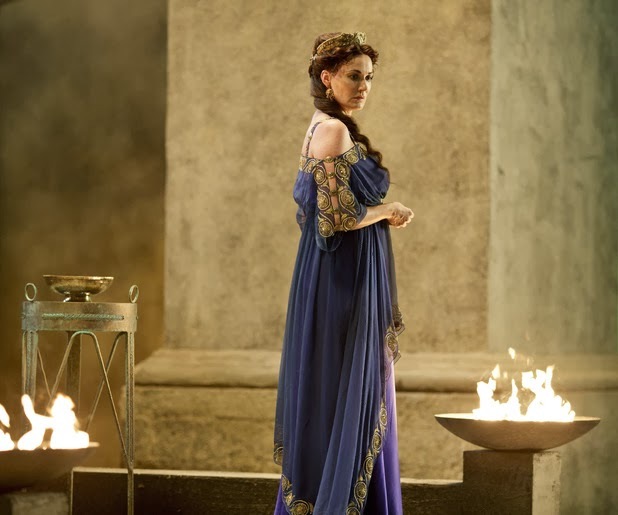 The first season has already played fast and loose with different strands of myth to some effect and has also established a more natural rapport between its leading characters. There have been flashes of storytelling genius but rather too much sloth. This two part finale seems to be an attempt to re-calibrate the show and while sometimes choosing the obvious it makes for a dependable though not quite surprising end. She wondered if her curry was just a little too hot. Just how good is this? Two years after Sherlock faked his own death and ignited a debate as to how he did it comes the revelation. We knew, of course, that he wasn’t dead because we saw him at the end of the last series but the question that has been debated right up until this episode was broadcast is how they did it. By which I mean how did the character do it and how did the television programme stage it? Brilliantly, both of these notions are addressed in a script that may just be the best thing Mark Gatiss has ever written and that’s saying something. Bristling with vigour, thrills and wit, `The Empty Hearse` is a ceaseless joy to watch from start to finish as it twists and turns through several developments. As for that explanation- well, just for fun you get several options during the course of the episode until the real one is revealed by Sherlock himself near the end. Or is it? 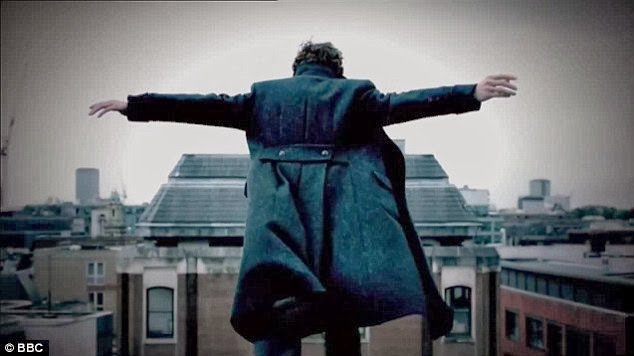 Actually, the way Sherlock cheated death was he can fly.